Ever been working on your computer and it suddenly freezes and goes to a blue screen with a list of computer instructions and information? This is called the Blue Screen of Death. This occurs when Windows crashes or locks. The reason for this Windows screen is to tell you the reason for the error and to calm you down. The color blue has shown to have a calming effect on people so the blue screen is used as to not freak you out. When reading the BSOD, the error you experienced will be in all capital letters at the top. It will help you or an computer repair technician find the information you need to fix the problem. Also, Windows will take anything its holding in system memory and put it in a file and saves it on your hard drive. The error and memory file will be researched to find the cause of the system stop and to help repair it. If you experience a Blue Screen of Death and aren’t sure how to fix it yourself, call Up & Running Computer Solutions, Inc. Our knowledgeable computer repair technicians can figure out why your computer crashed and will fix it to perfect working order. Call today at 951-737-8558 or visit the website at www.urcs.net. Serving Corona, Irvine, Riverside, Anaheim, Newport Beach, Tustin and most of southern California! Has your computer started making funny noises? It could be your hard drive going bad. Your hard drive is where all of your information is stored. 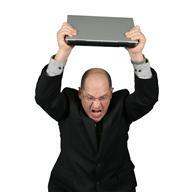 There are many reasons why a hard drive stops working. Usually they crash because of a virus, mechanical failure or electrical surge. A hard drive failure could happen at any time without warning, so making sure your hard drive is backed up is very important. Without a backup you could lose important, valuable data that cannot be retrieved. There are times when you hard drive can give you a warning. If Windows is always telling you that it needs to check the consistency of your hard drive, it could be trying to tell you your hard drive is about ready to fail. 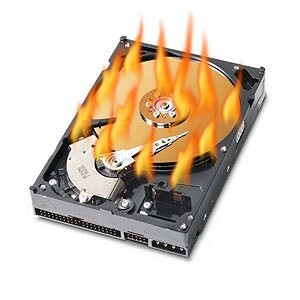 If you think your hard drive might be going bad, call Up & Running Computer Solutions, Inc. in Corona, CA and we can run a diagnostic test and let you know if you need a new hard drive. In addition to testing your hard drive, we can order you a new one and install it for you! Call today at 951-356-4035. We also serve Irvine, Riverside, Newport Beach, Anaheim, Tustin and more.